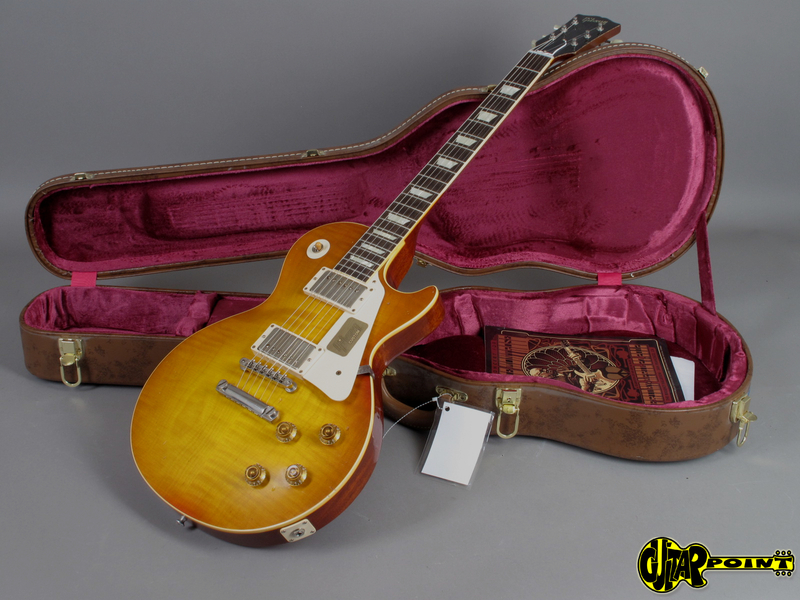 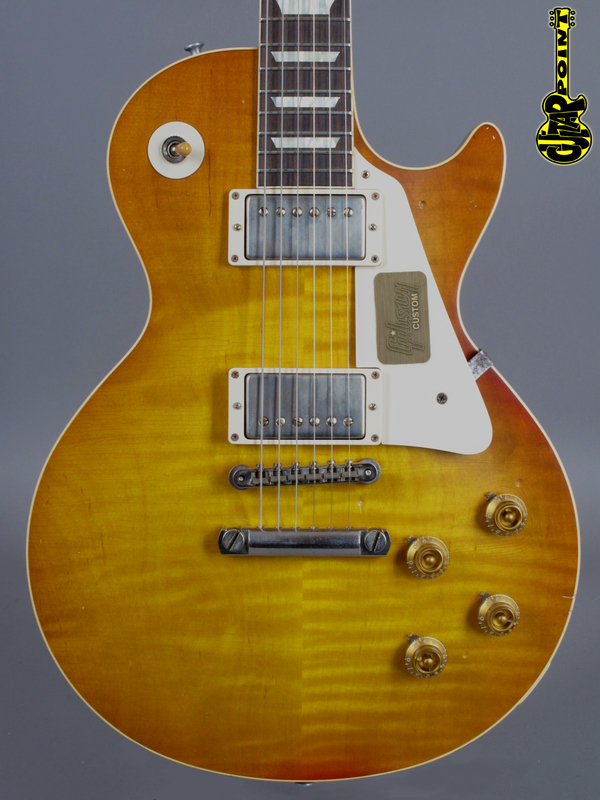 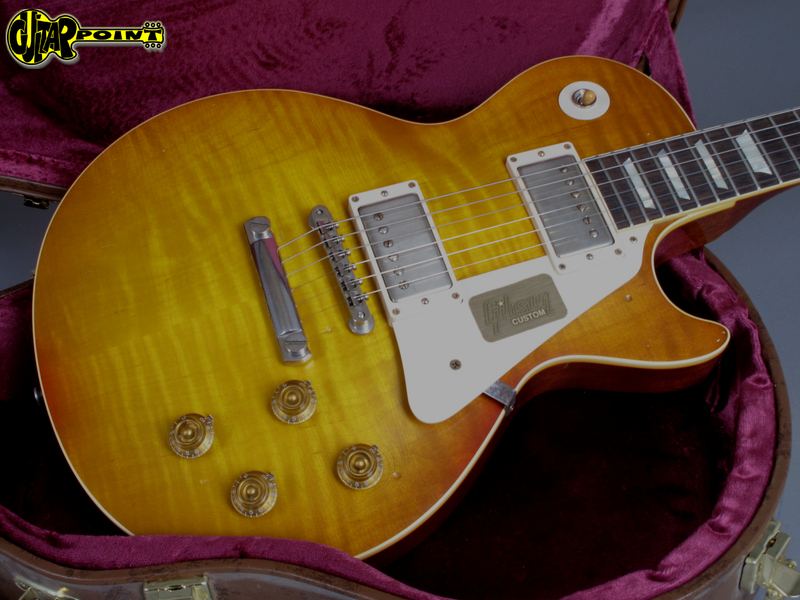 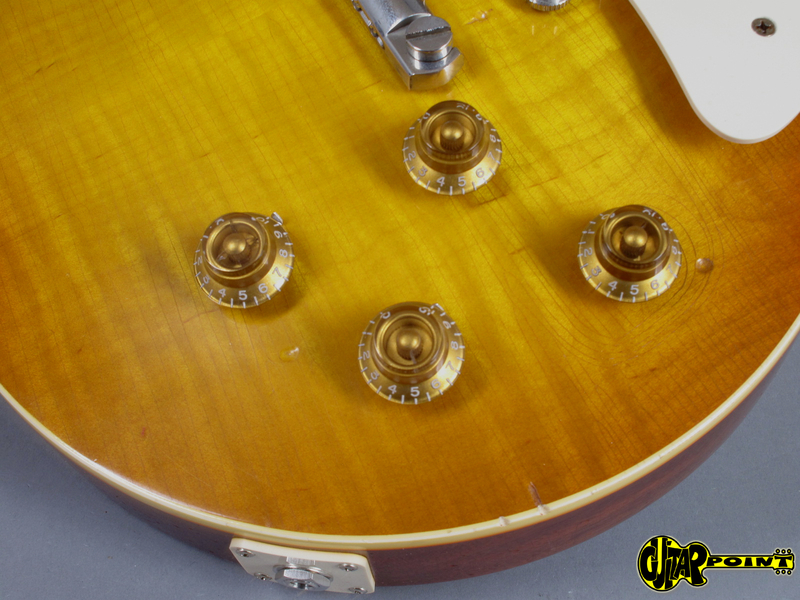 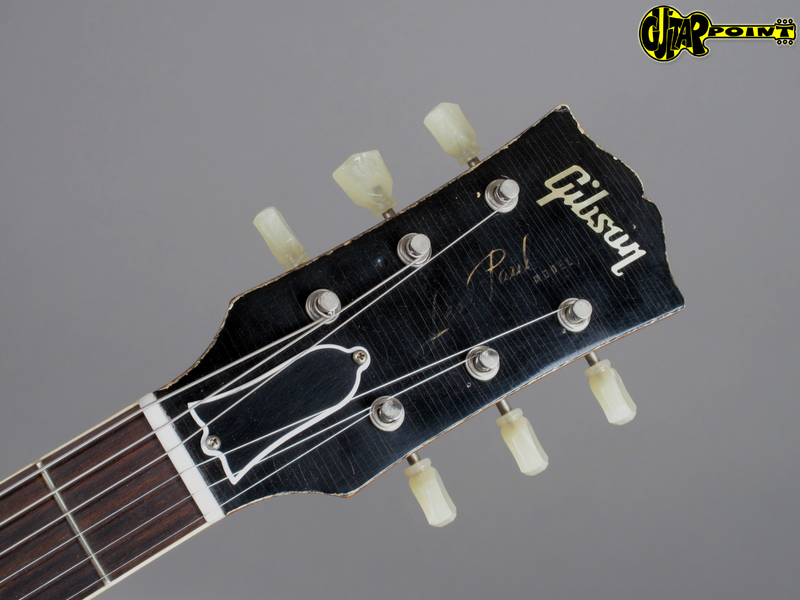 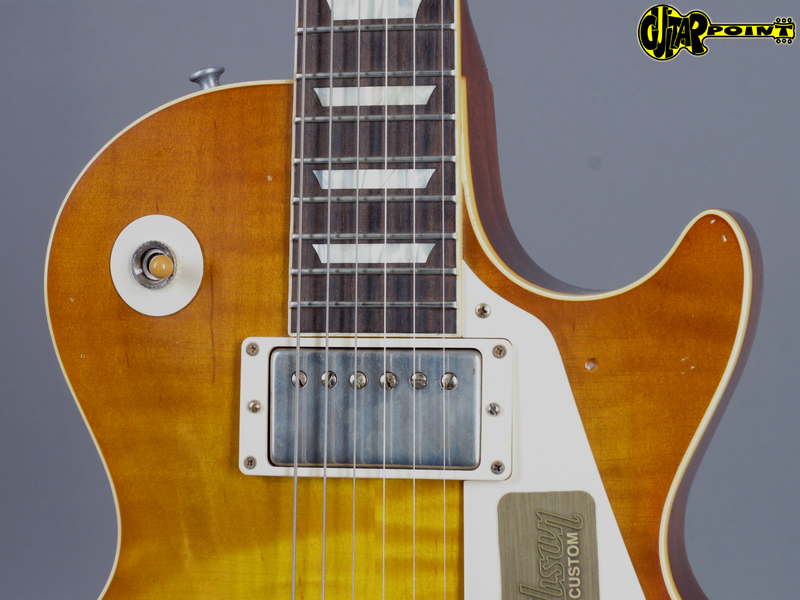 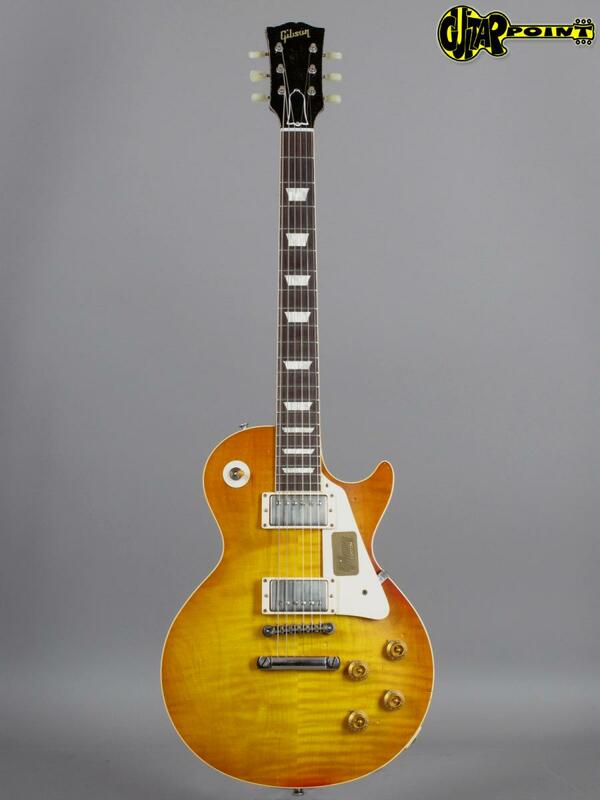 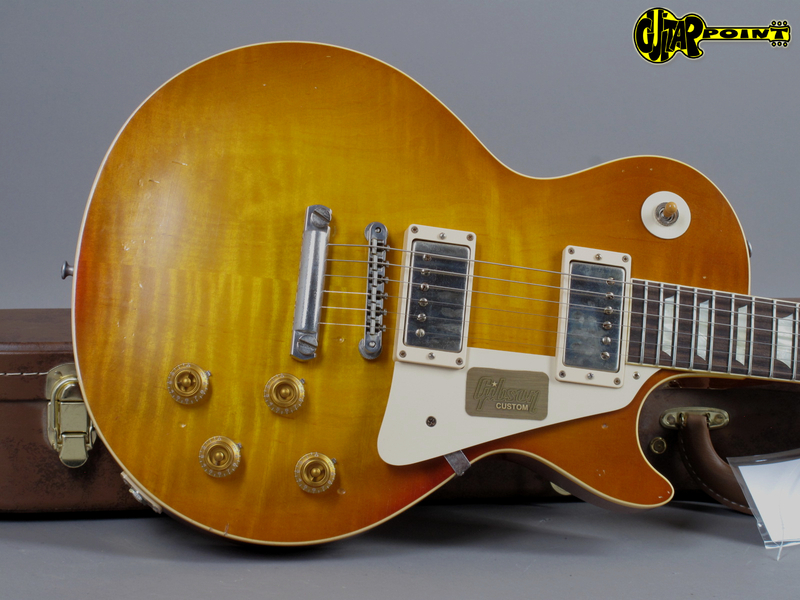 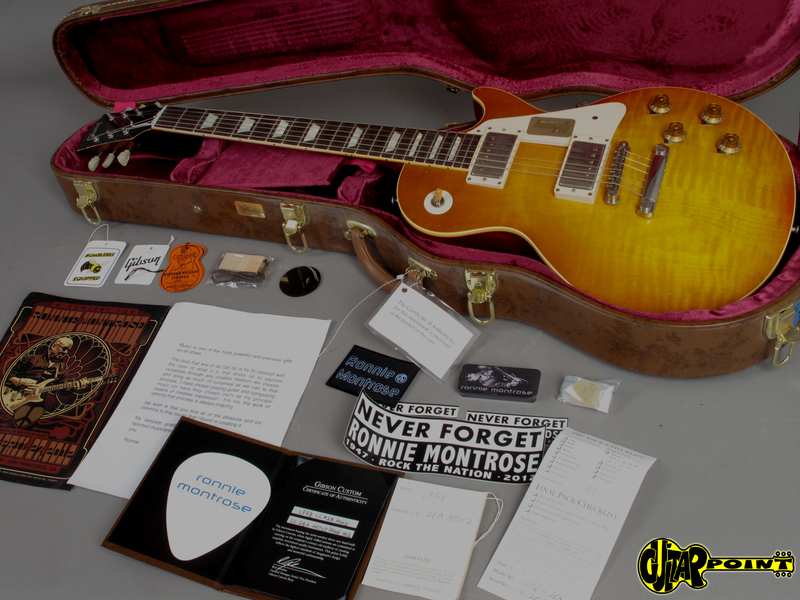 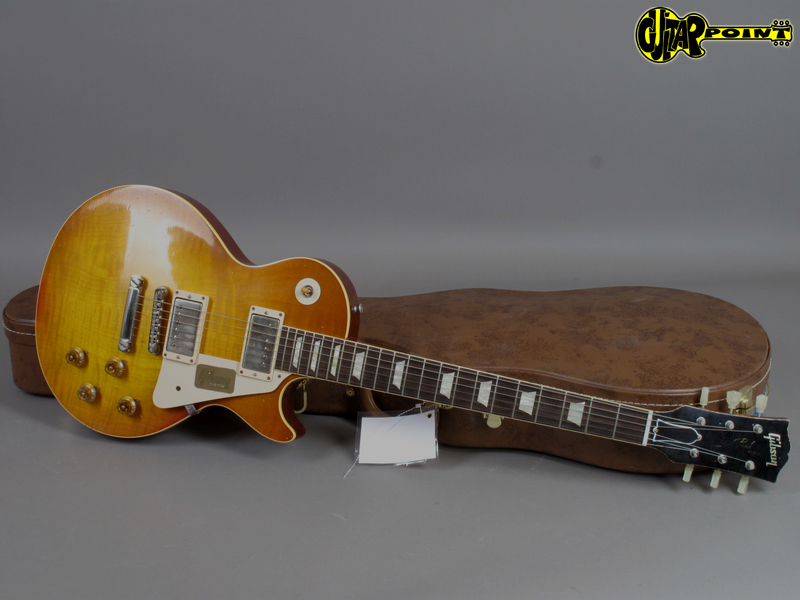 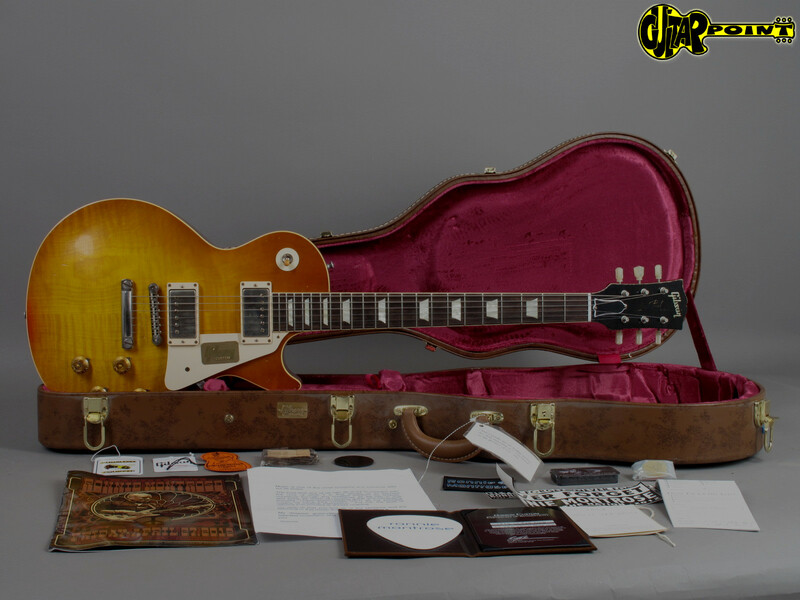 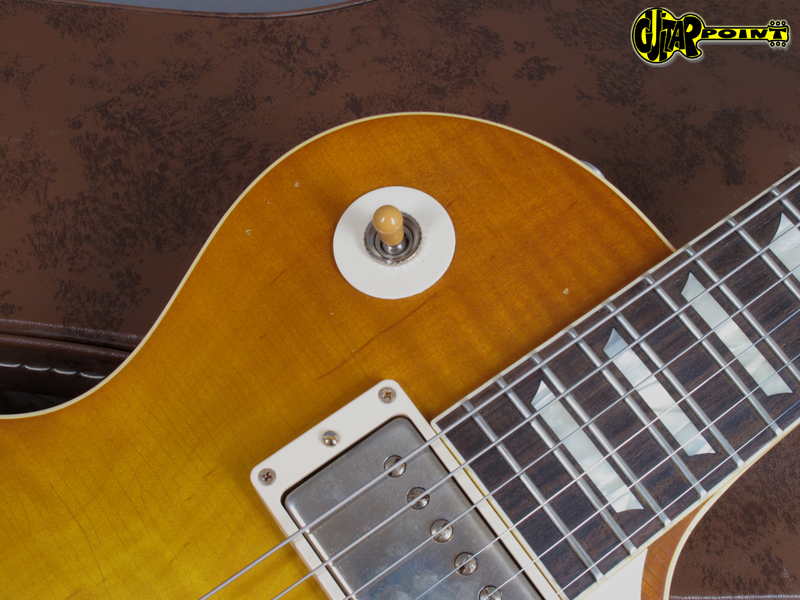 Recration of one of the most iconic and most recorded Les Paul Standard in history, a 1958 Burst owned and played by Ronnie Montrose. 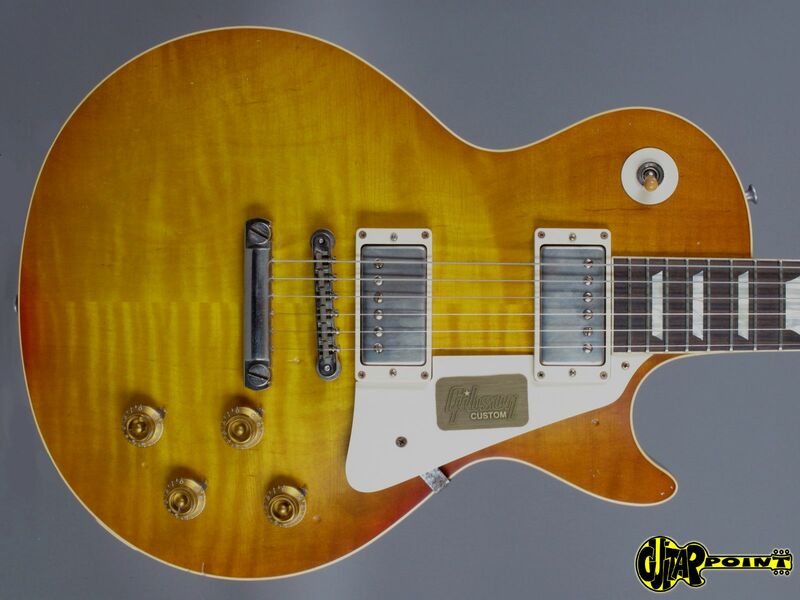 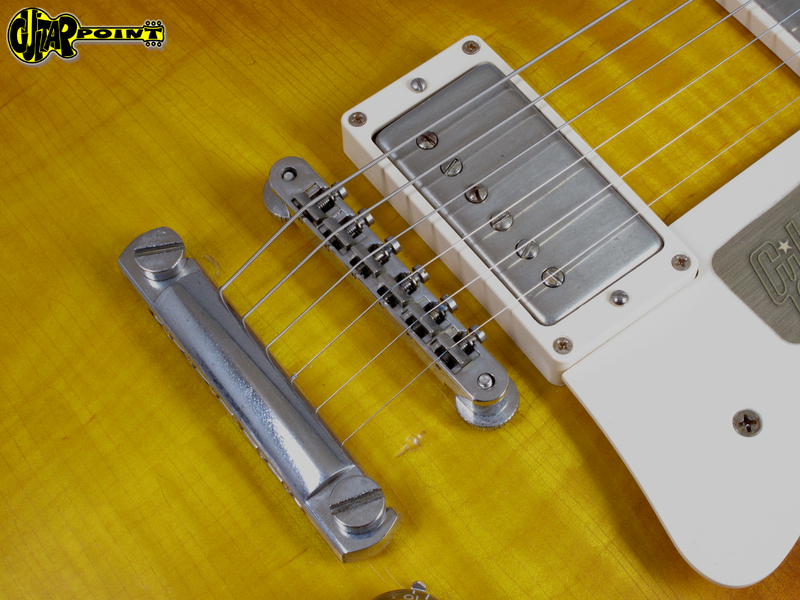 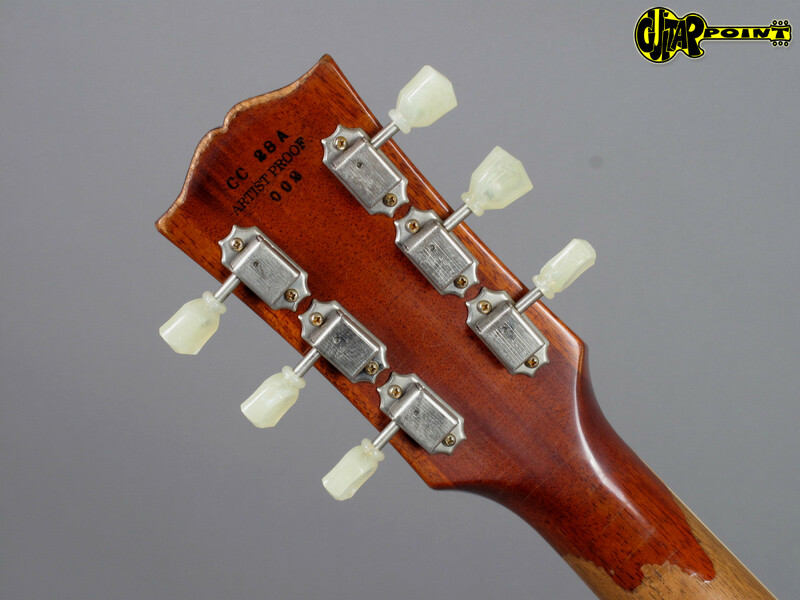 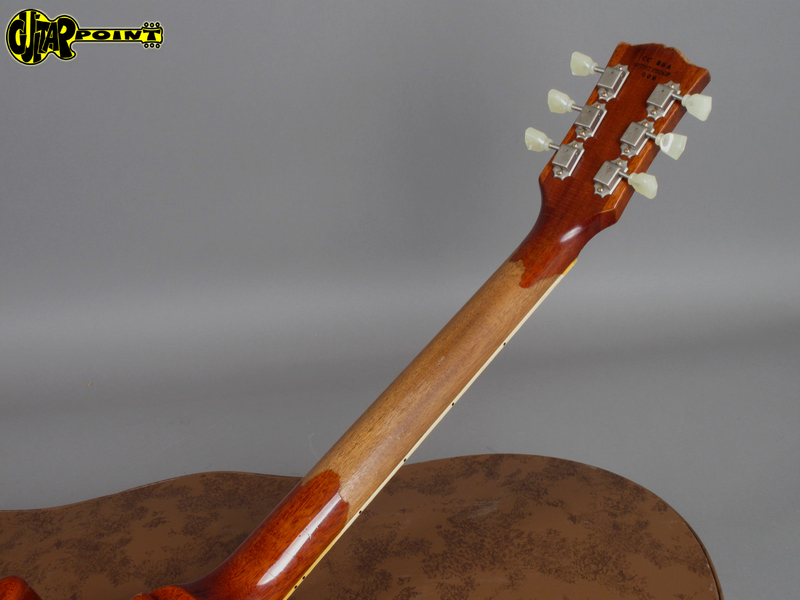 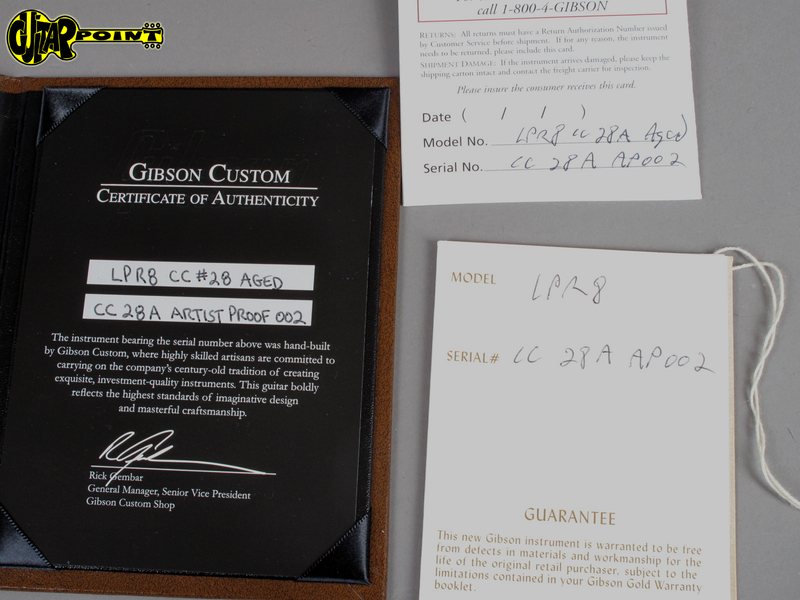 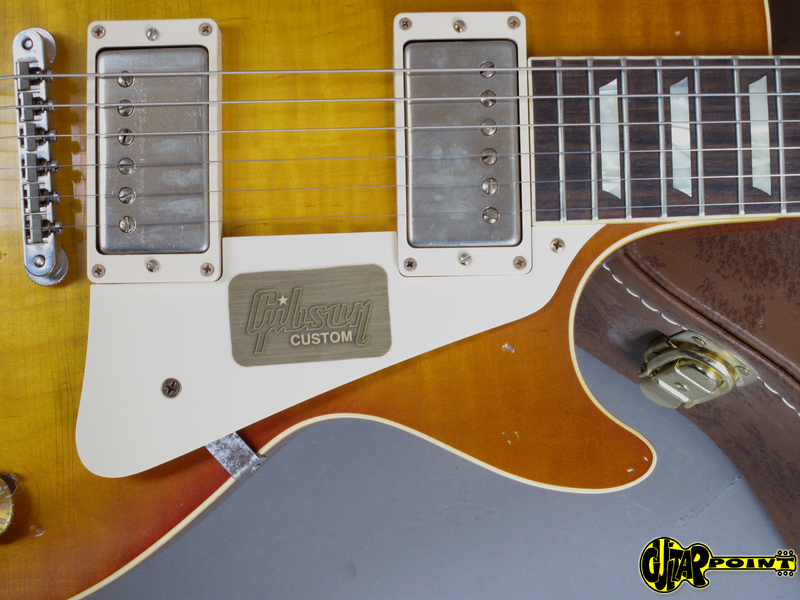 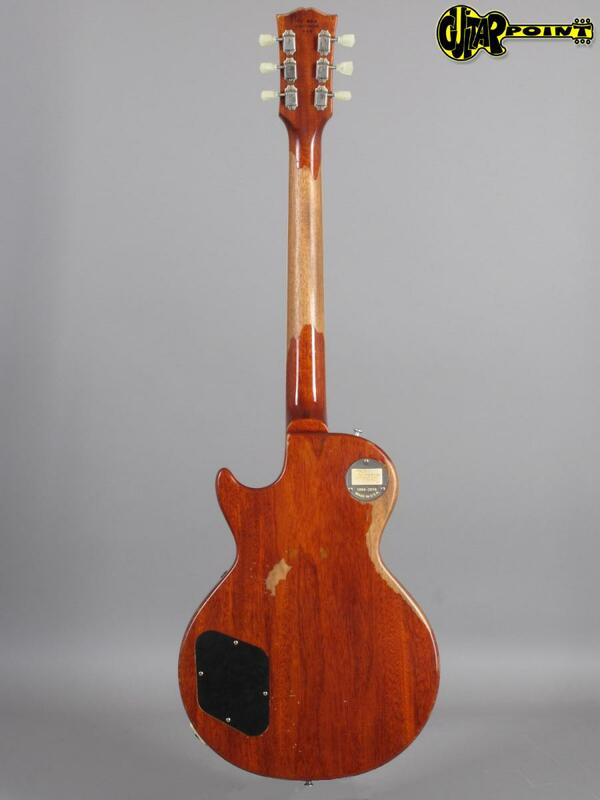 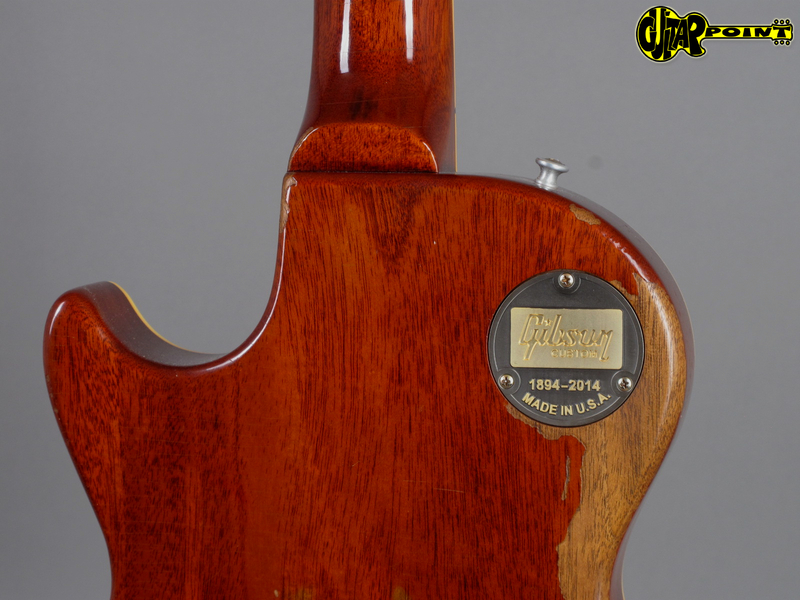 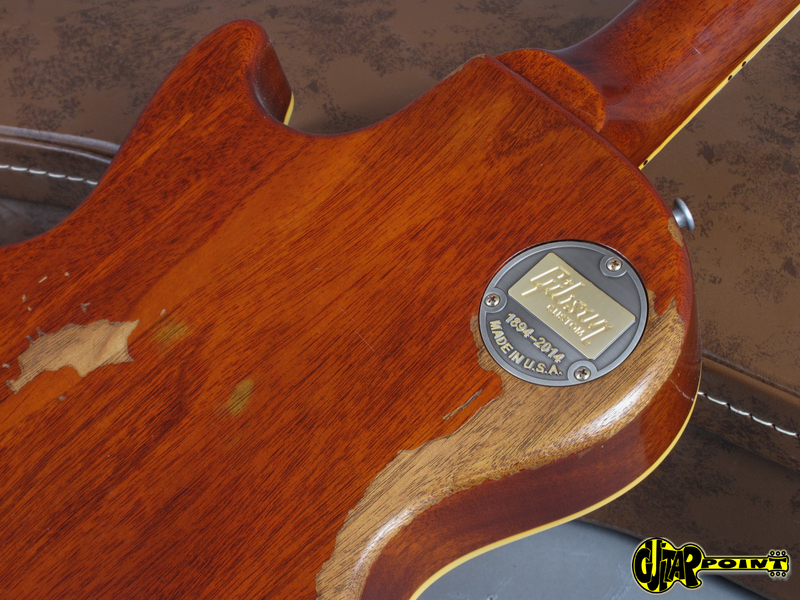 This is a super rare opportunity to purchase one of the super rare "Artist Proof" guitars who are usually passed to the current owner of the original guitar, All tonewoods are carefully handselected to match the look, weight and sound of the original guitar and the surface is hand aged to match every single dent, ding and dong found on the ´58 Burst as it exists today, including a aged, faded sunburst finish and genuine aniline red filler for the back, neck and sides and a set of "Custom Bucker" pickups built to the precise specs of the guitars unique PAFs. 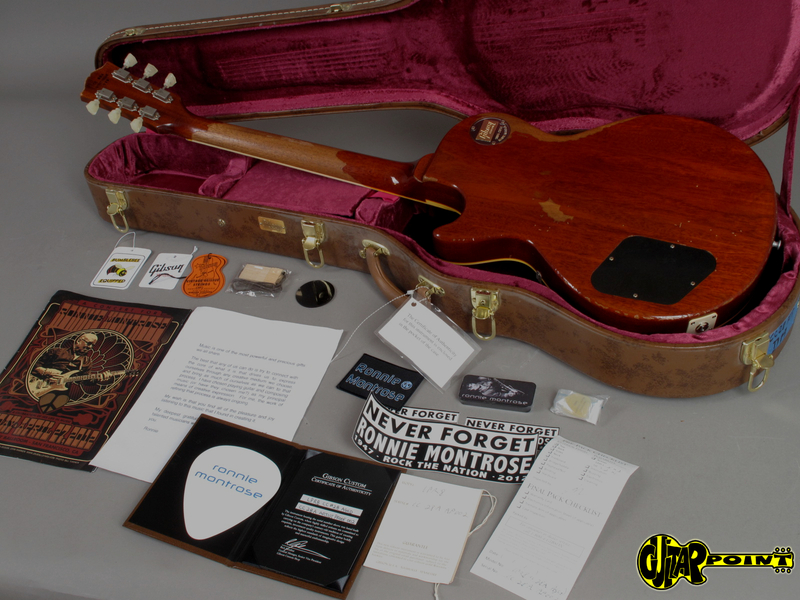 The guitar is literally brandnew and comes with all casecandys, a USB stick with a video of the Montrose-Burst story and the brown Gibson hardshell case with pink lining. 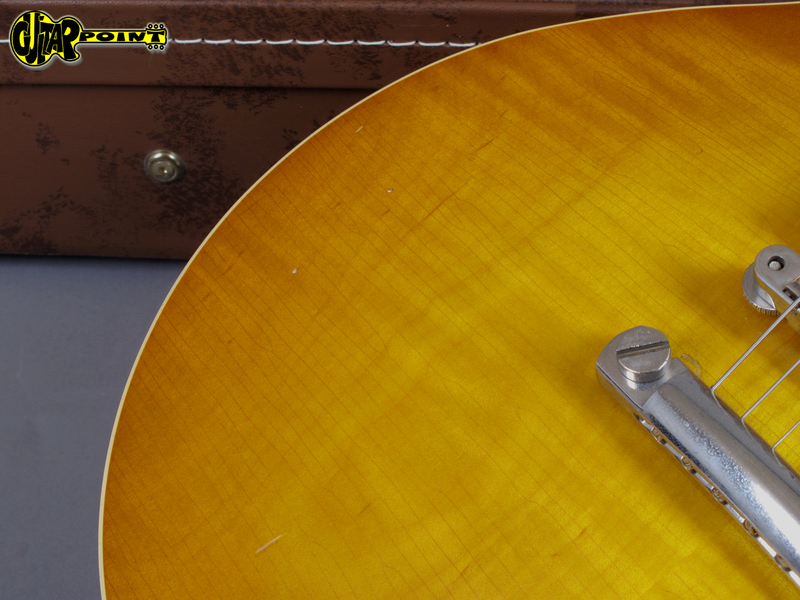 Extensive case candy collection and USB-stick.